We all are well familiar with the massive increase in Android market and the users of Android smartphone. A huge population of the world is using android mobile phones and they are quite reasonably happy with its multitasking features and options. Enormous collection of free android apps and paid android apps are available on Google Play Store, which is another most relevant reason to use Android smartphone. I am also an android user, so I know very well that instead of all these amazing features where users feel stuck while using the android smartphone. In most of the case, I have noticed that people feel disturbed when they install various apps and games or other files on their Android phone but they don't know how to manage those apps and games or arrange the files and data effectively. Basically, MobiKin Assistant for Android is an android sync manager that helps you to manage each and everything on your Android devices through Desktop Computer. With the help of this tool, you can easily sync all android files including messages, videos files, music files, photos, contacts and apps to your PC. MobiKin Android Sync Manager comes for both platforms Windows (Windows Vista/XP/7/8/8.1) and Mac (Mac 10.6, 10.7, 10.8 or 10.9). Doesn't matter which android phone you are using, whether it's Samsung, Motorola, Sony, HTC, LG, Huawei or other Android operating system device. MobiKin Assistant for Android will excellently help you to transfer files from your Android device to your desktop computer. Step (1): First of all, Download MobiKin Assistant for Android and install it on your Computer. Note: In case, you have already enabled the USB debugging then you haven't to perform this action. 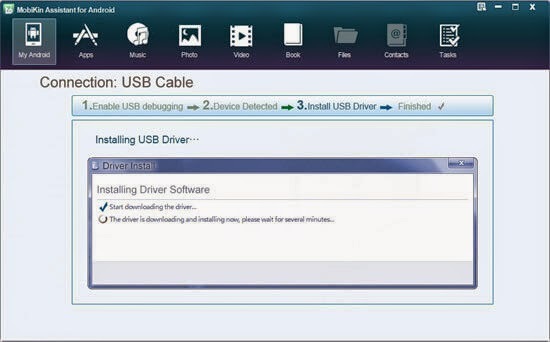 Step (3): After enabling USB debugging, click on "USB debugging opened" option and then click "Next" to download and install the USB driver on your desktop computer. Follow the on-screen instructions. Step (4): Once the installation of USB driver is finished, You will be able to see the basic information and parameter of the Android phone. Select the files which you wish to sync to your PC. 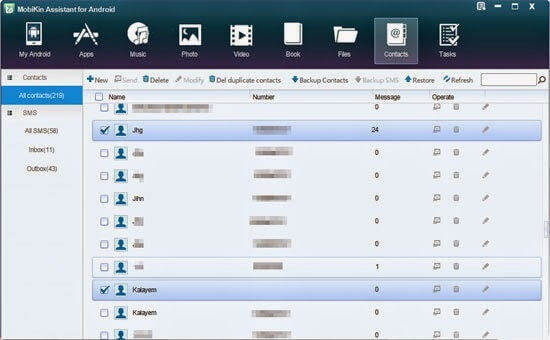 Step (5): If you want to sync Contacts to the computer, click on "Contacts" option which is located on top of the menu and then click on "All Contacts" from the left column. After that, click on "Backup Contacts" to sync and save them on your PC. That's it! You can transfer all other data like messages, music, apps, videos, photos, and books etc. by following the similar way. 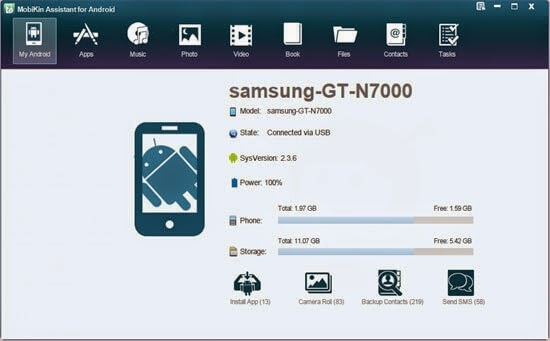 Thus, you can see how simple is to use MobiKin Android Sync Manager for transferring data from Android device to the desktop computer. 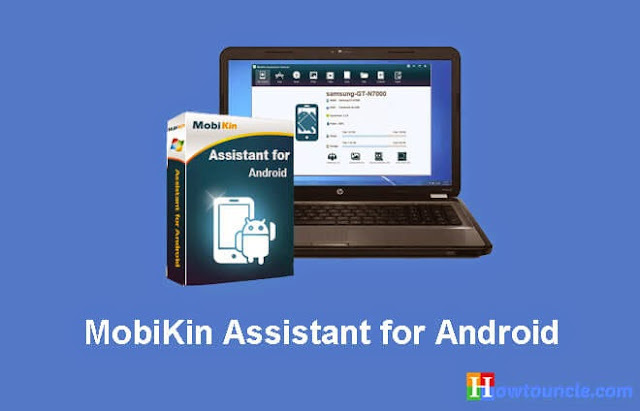 Try MobiKin Assistant for Android tool to transfer data from Android Phone to PC and share your view with us through comments.